I purchased sushi grade raw fish at my local Korean market. The market I go to has a variety of sashimi in pre-cut packages and it’s very convenient to eat. 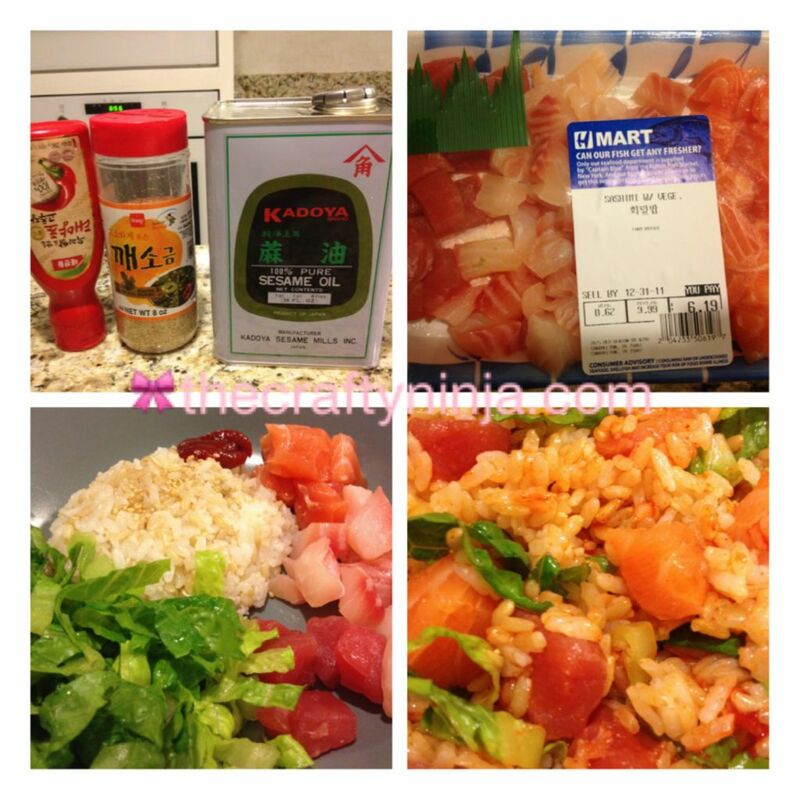 This is one of my favorite healthy dishes to make and it’s so delicious! Plus you can’t beat the price of a home cooked meal in comparison to a sushi restaurant. In a bowl I add Mixed brown and white rice, Red pepper paste, Sesame seeds, Sesame seed oil, Chopped lettuce and Mix it all together. Yummy!